I originally downloaded this game, I believe it was '98, during an out-of-state move in '04 my computer was damaged & I lost the game. 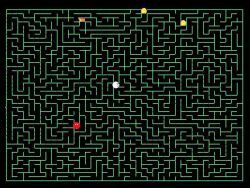 I couldn't remember the name of it & it drove me crazy trying to find it again as this is my favorite game. So I downloaded "others". yuck! nothing compares with this version! Last night, I asked my 15 year old son if he could remember the name of it. He said, hey thats the game that gives the funny warning when it starts up. Its called acid tetris. Then he asks me 'not' to download it because when I had it that's all I did all night. I would play that game until the wee-hours of the night. Okay, so now I've found it again & I'm so happy! Anyone interested in this game should download immediately! Don't think about it just do it! 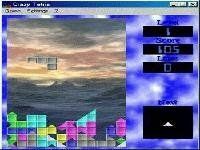 This is the absolute best tetris game I have ever found and anyone downloading won't be disappointed! 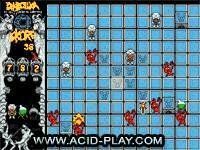 Acid Tetris is one of the best Tetris games around. A Tetris fans dream. 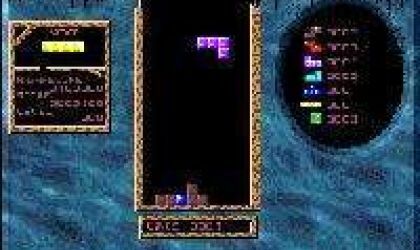 It may just be Tetris, but I highly recommend downloading this one even if you already have a version of Tetris on your computer. The scoring is different but everything else is the same, the rules and the gameplay, but this version has great graphics and sound. Still the same classic arcade feel, Tetris fans will not be disappointed. Note: Although it contains the word acid, it was not made by Acid-Play. 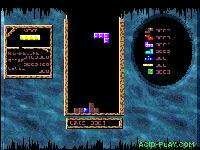 My favorite tetris game as well,probaly beacuse of music and that smiley.I think i holding world record in this game,i managed to do 1600000 points. This game is very, very funny and the graphics and sound is spetacular. I love this game. I had played this for months and loved it. It is maddening but that's what makes it great! Best Tetris game ever, but it requires you have a DOS compatible soundcard. I'd played this YEARS ago,is there anyway to make this play with vista?